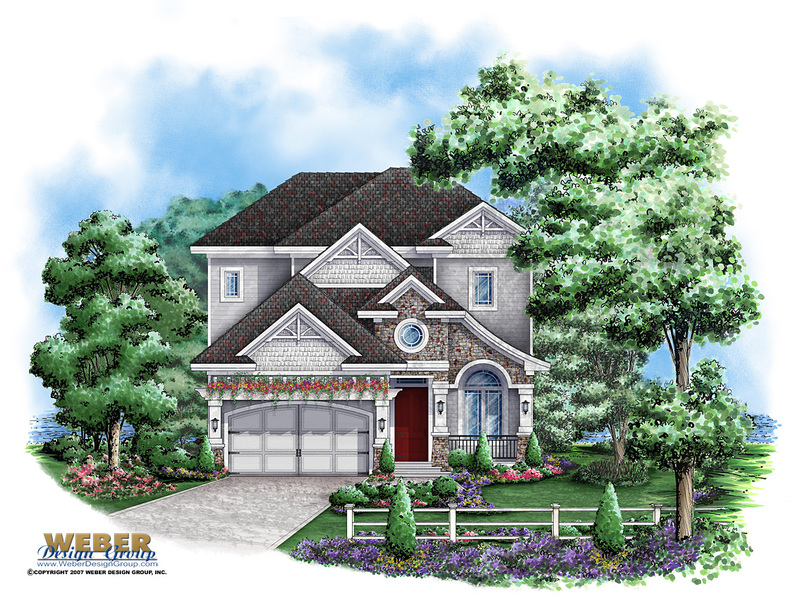 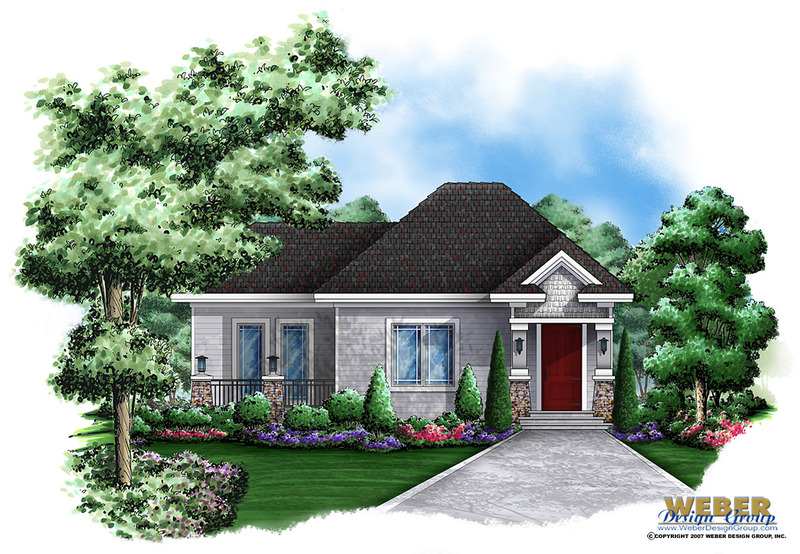 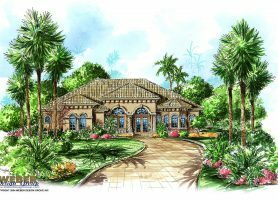 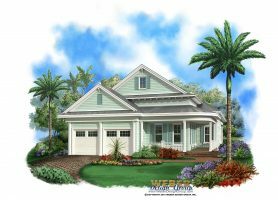 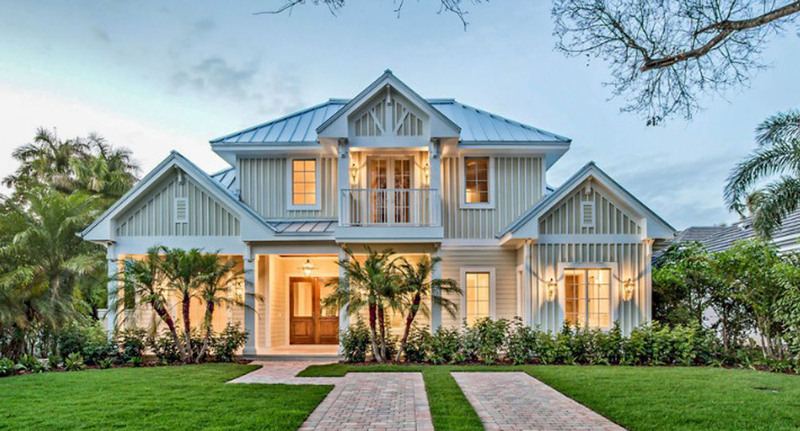 Cabana home plans offer separate living quarters for guests and family members desiring privacy and make ideal beach house plans for accommodating a live-in nurse, childcare provider, or teenagers. 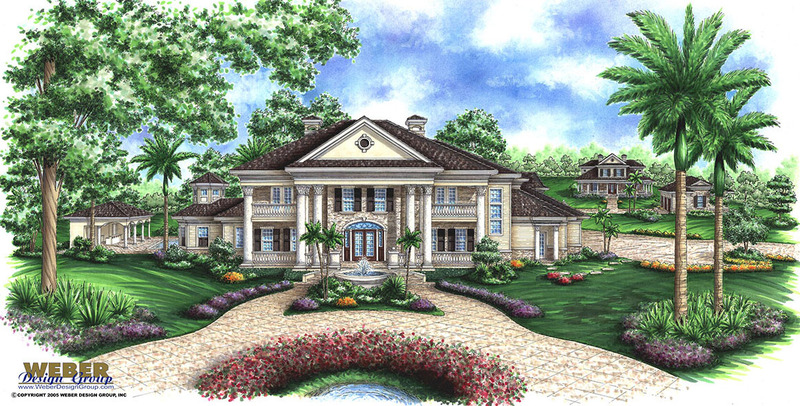 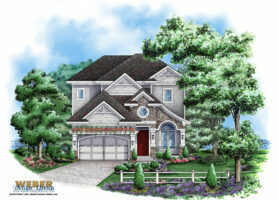 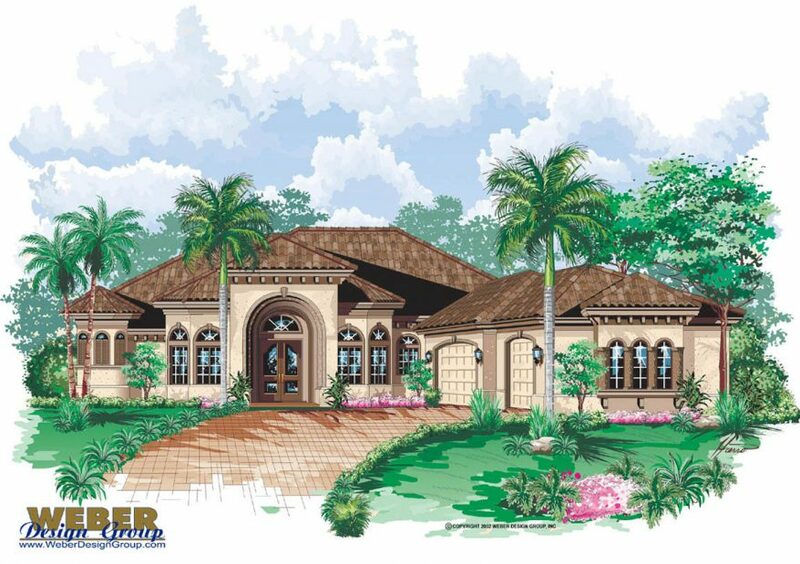 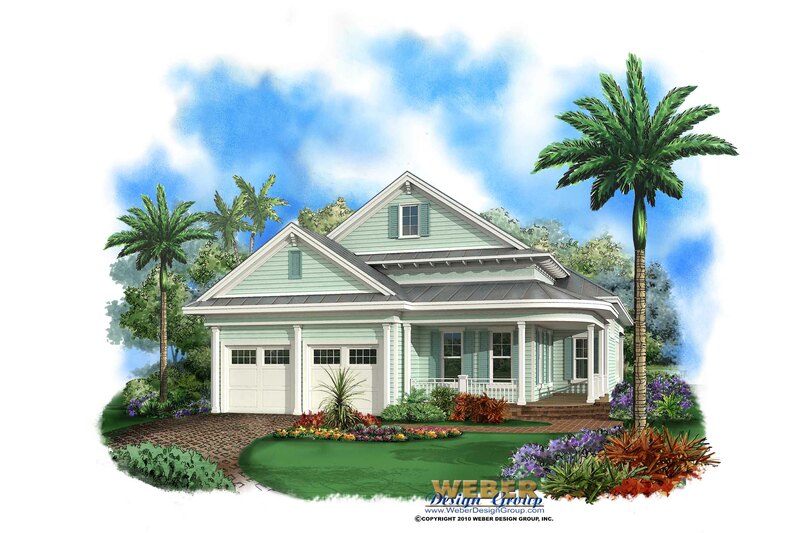 Your guests will appreciate the private entrance living quarters of the cabana home plans. 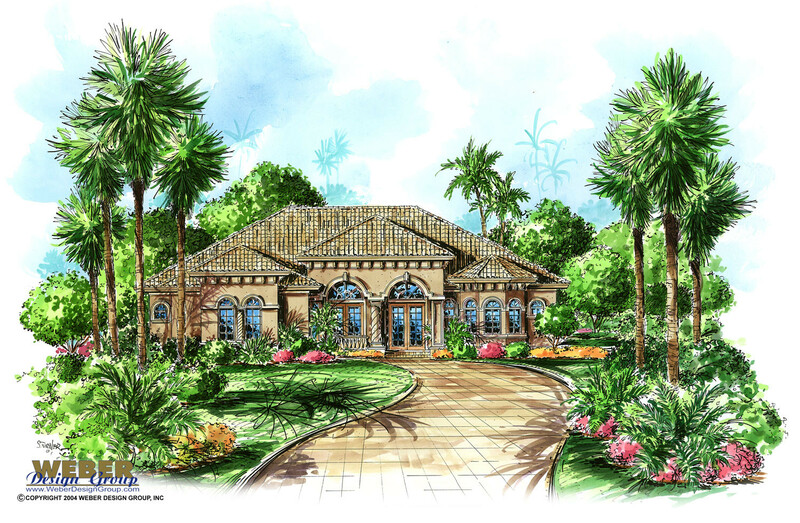 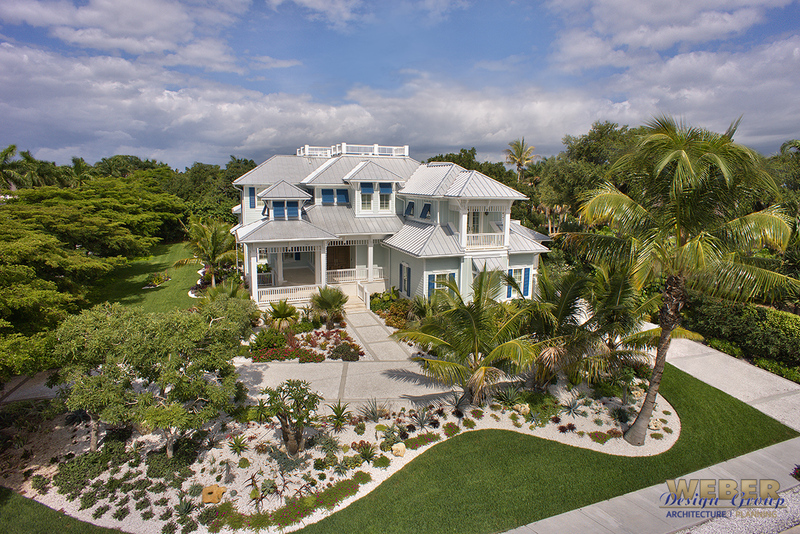 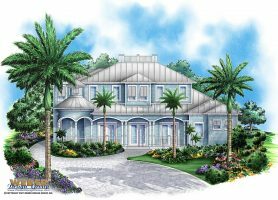 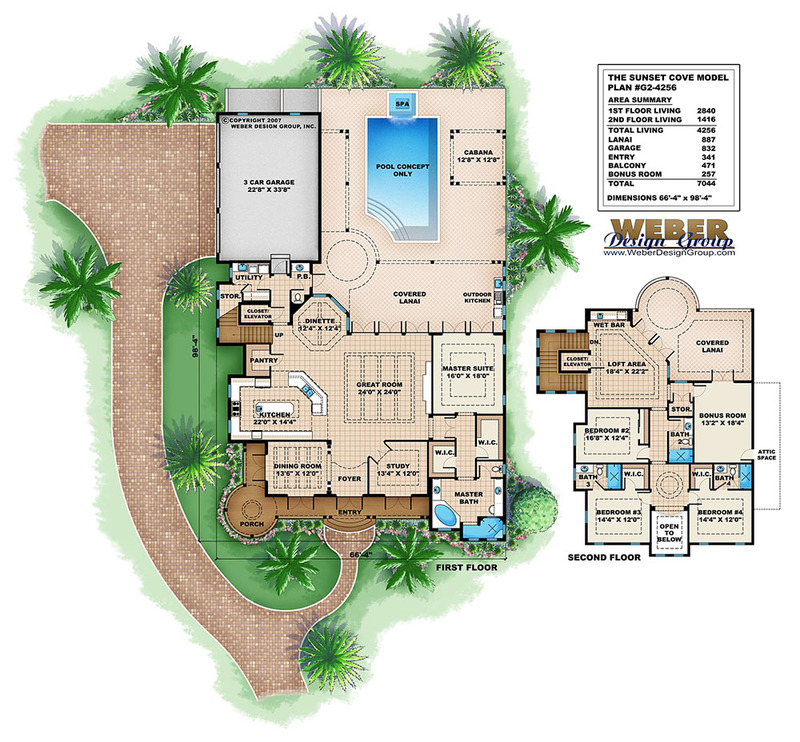 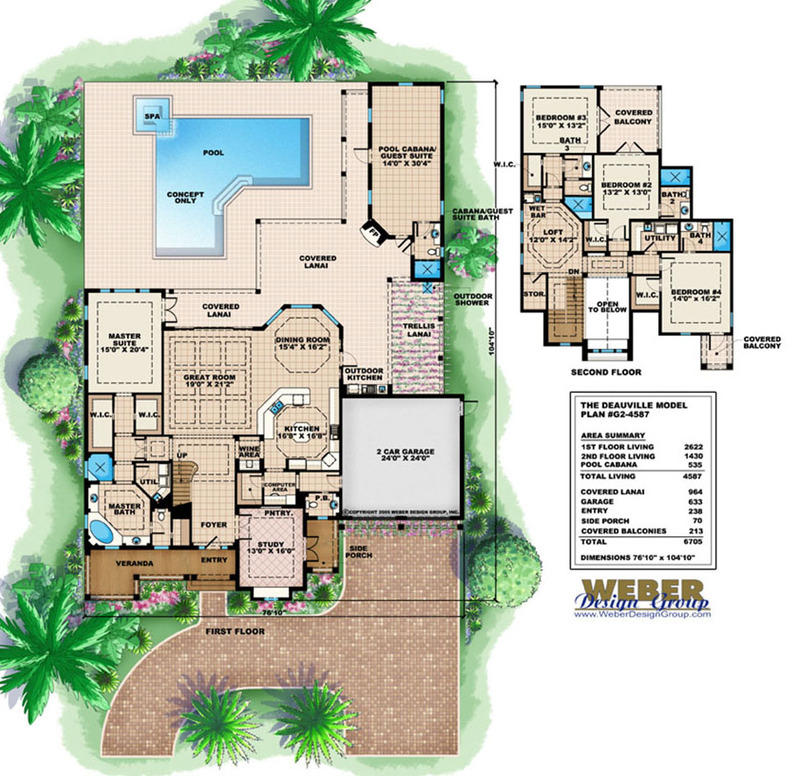 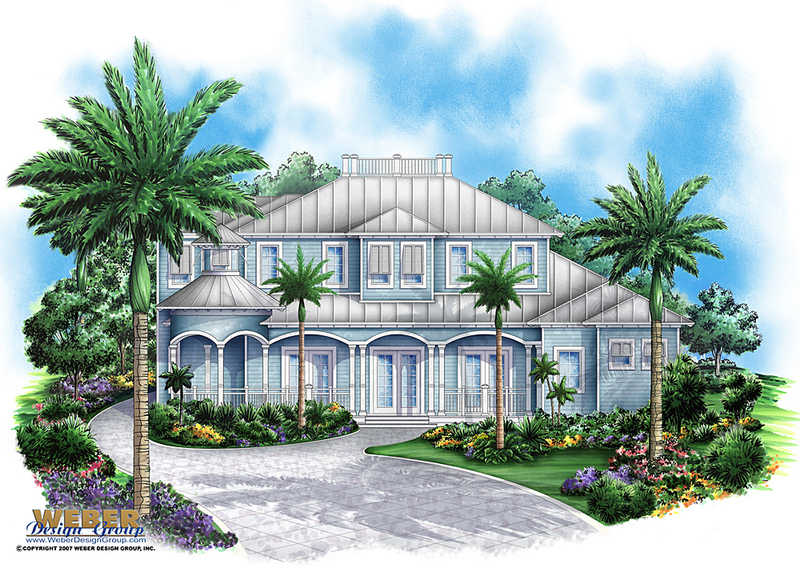 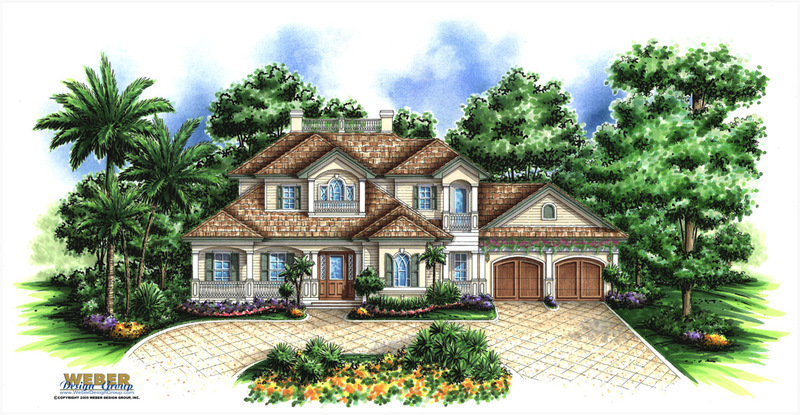 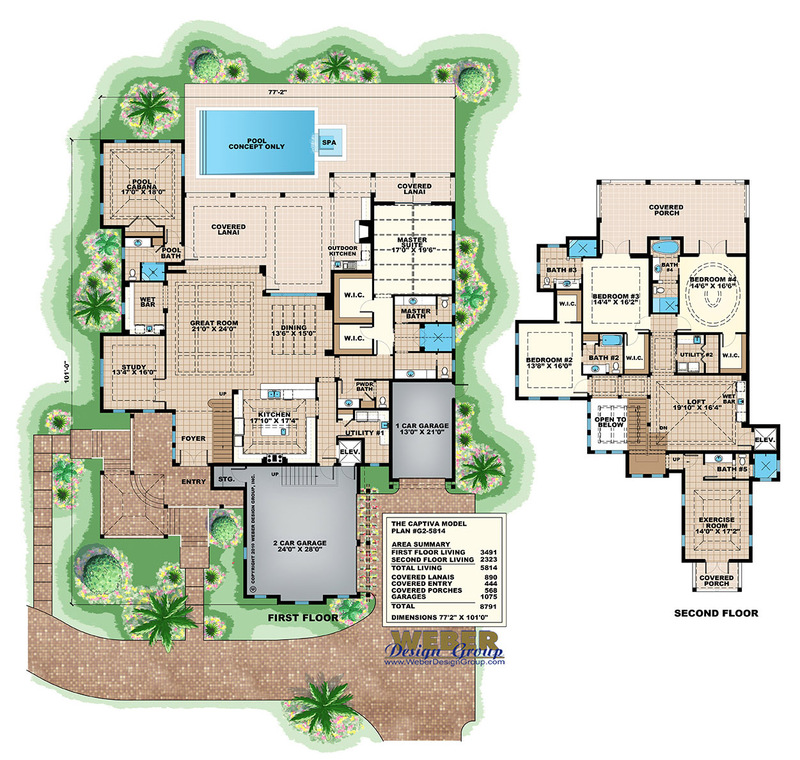 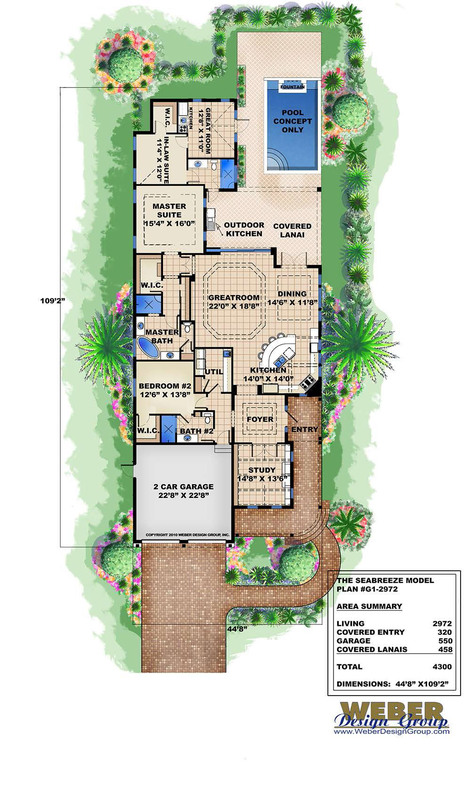 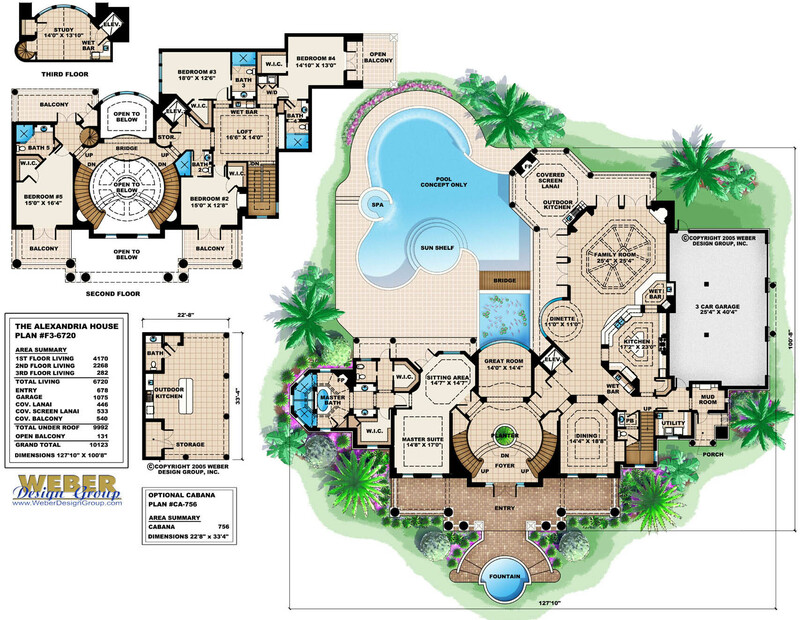 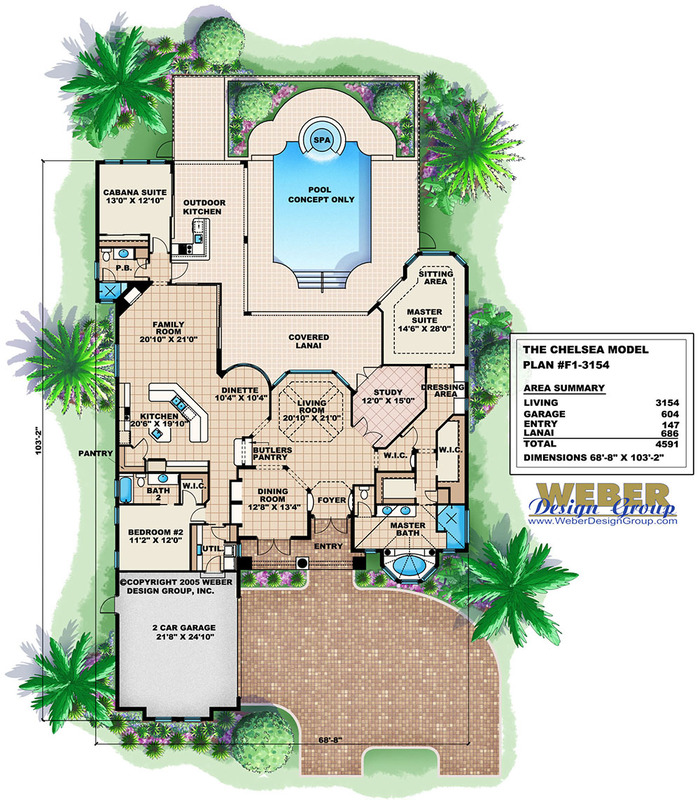 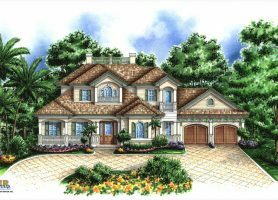 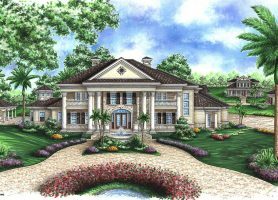 Cabana house plans have also been popular for those looking for Florida waterfront or Californiia Coastal style plans. 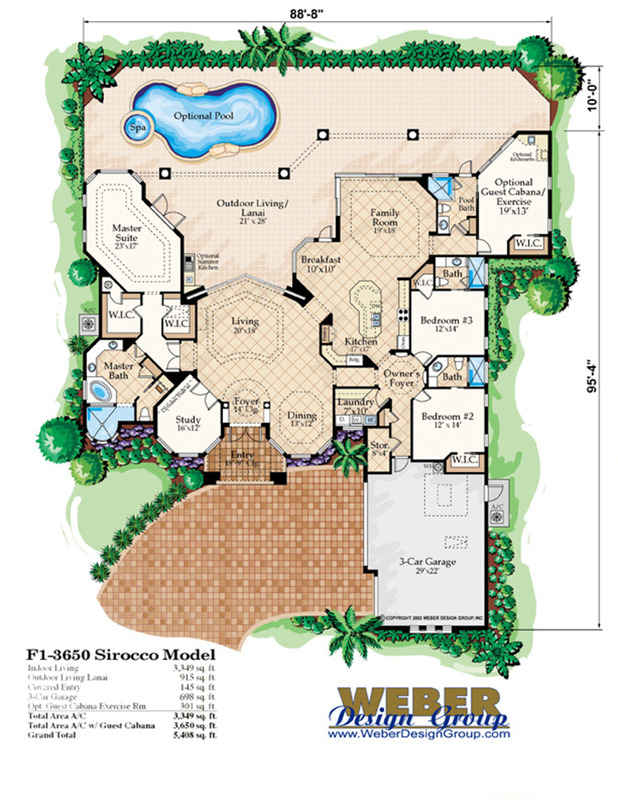 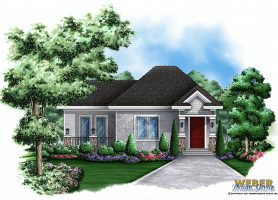 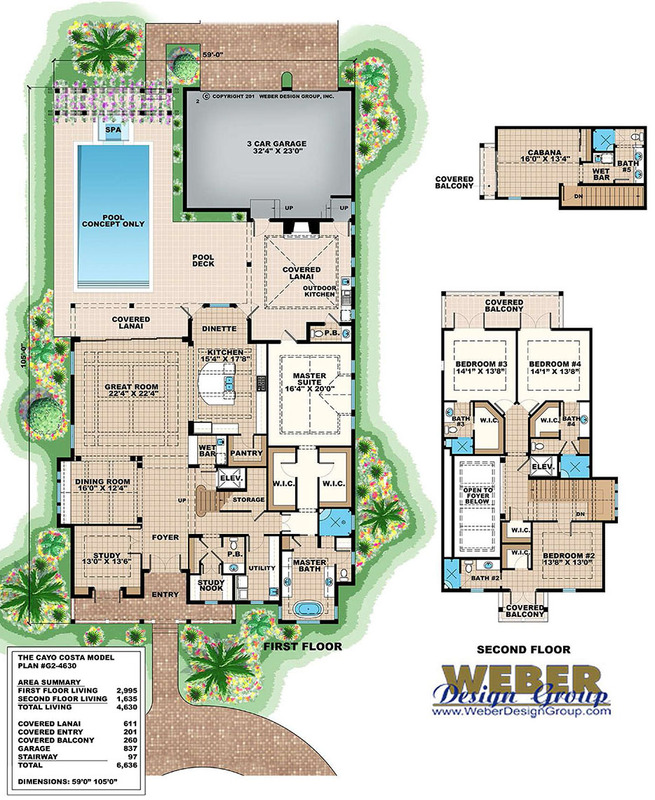 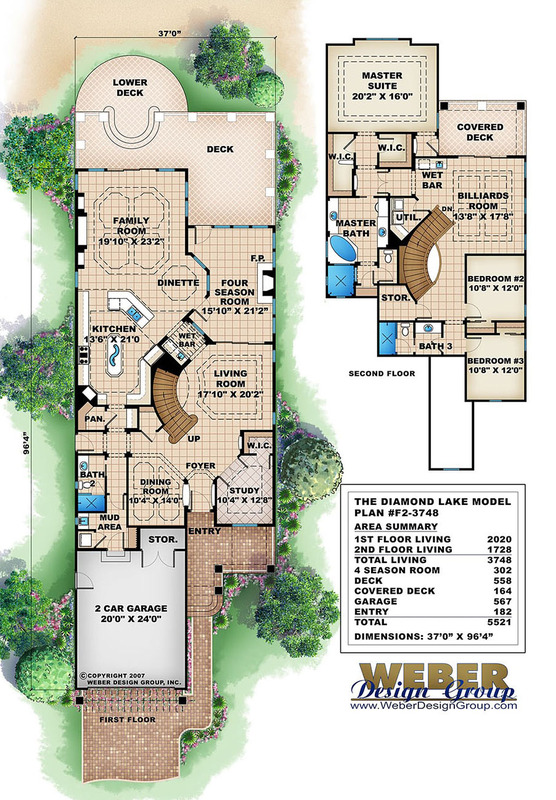 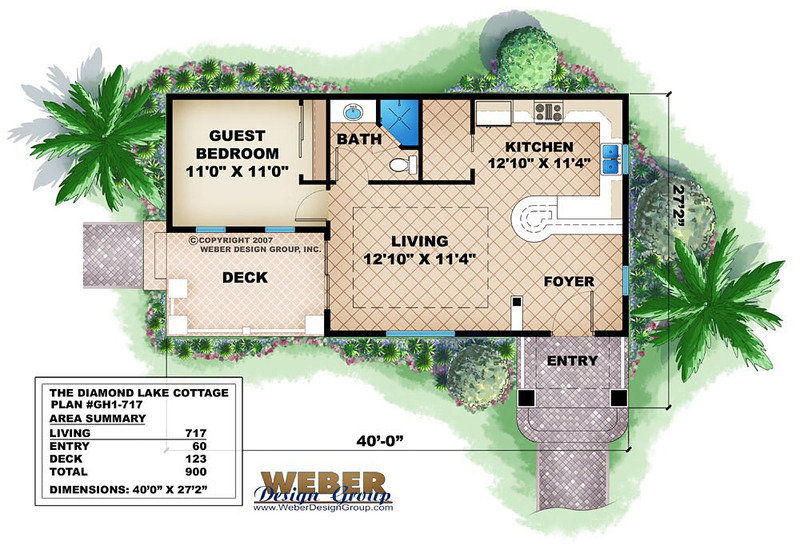 Click to see the stock floor plans photos, and details about a particular Cabana home plan below.